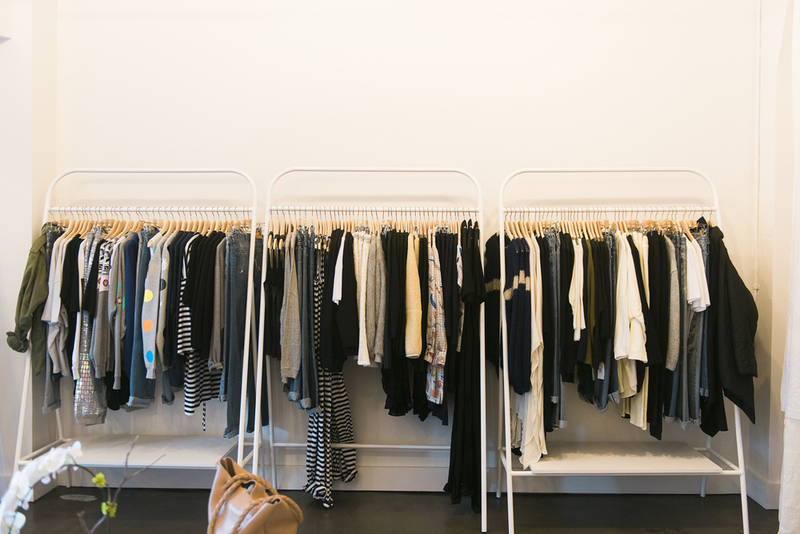 Store Visit: The West End Select Shop — Portland Supply Co.
Andi Bakos graciously welcomed us to one of the newest retail additions to Portland, her store, West End Select Shop. Located on SW Oak Street between 9th & 10th. 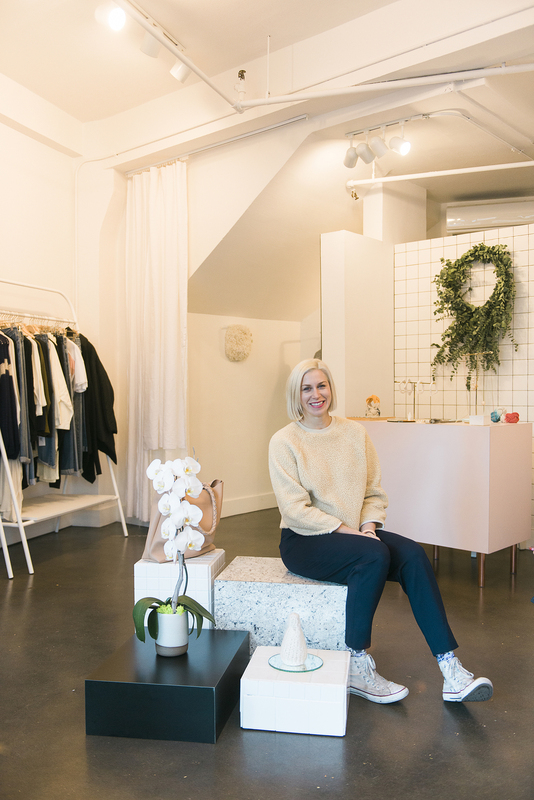 Andi has had a long career in the apparel industry starting out at Nike working as a Product Manager in Sportswear, got into freelance trend forecasting and just recently spent a year in Japan with her husband and was inspired by retail spaces and came back wanting to do something awesome in Portland. 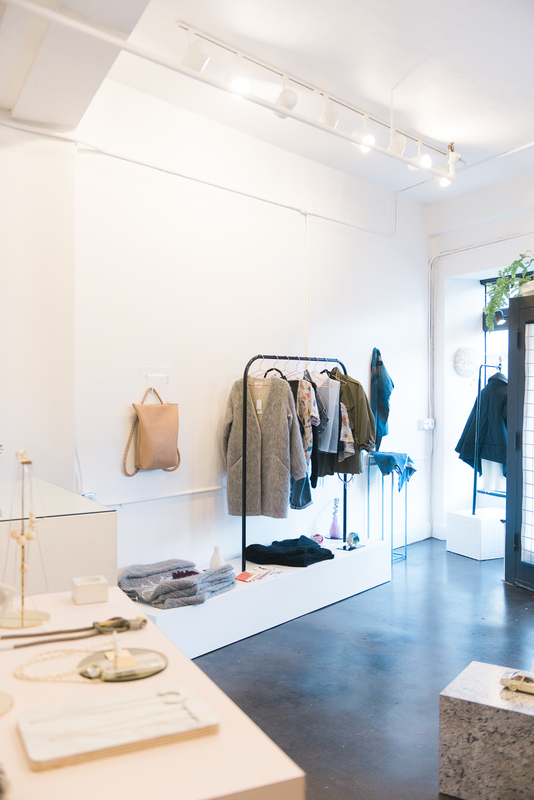 The intention and aesthetic of the shop is inspired by Japan from the Shoji paper that covers the door to the white tile wall that is inspired by Japanese architecture. 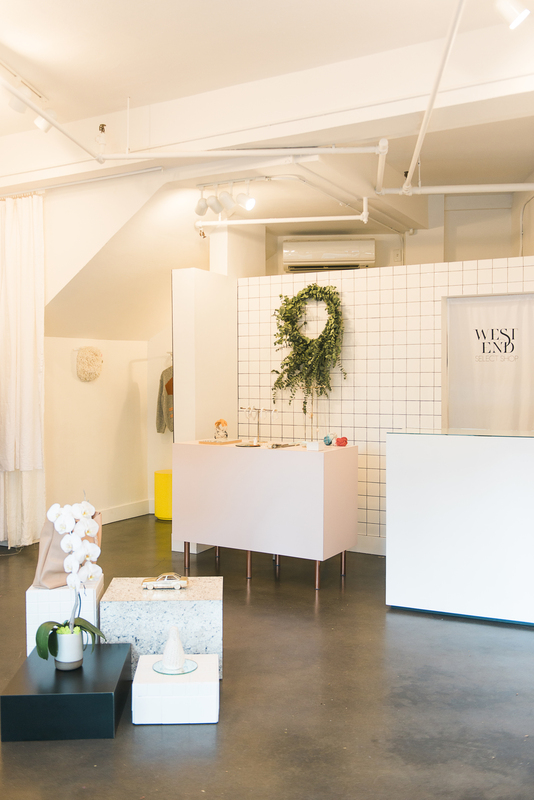 Andi also mentioned how impressed she was with the Japanese way of making a small space feel so large and layered, she most definitely achieved that concept at West End Select Shop, each time I walked around the store something new would catch my eye. The stock list she carries is on point! 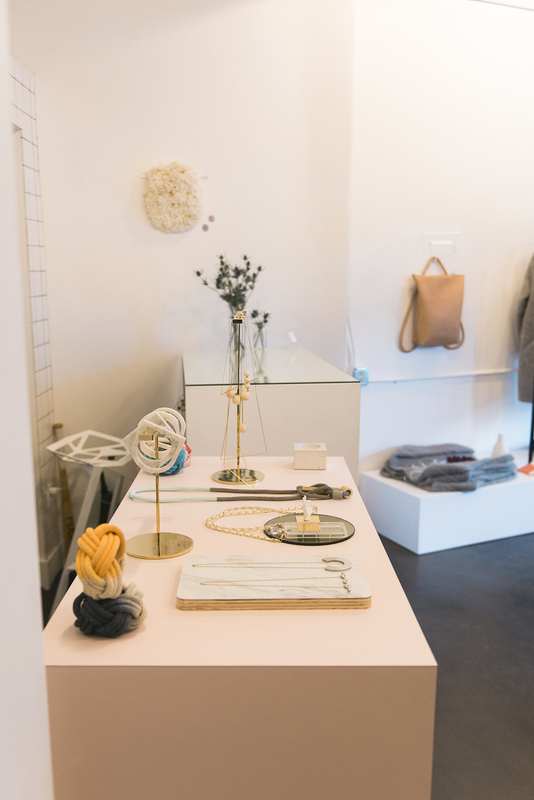 From the coveted Black Crane to new lines like Nanushka based in Budapest (that kills in the textile game) and Oform out of the Netherlands that makes beautiful marble and metal accessories. 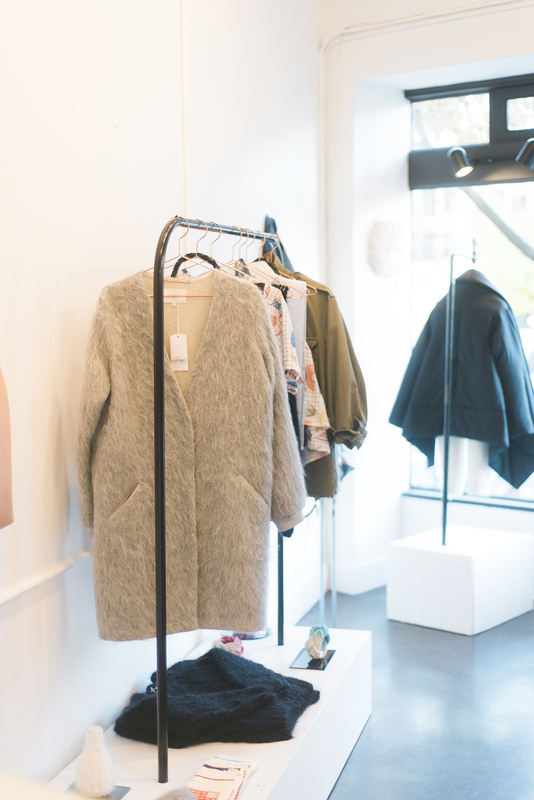 West End Select Shop also stocks some Portland based designers like Ara Handbags and Jarrett Reynolds. 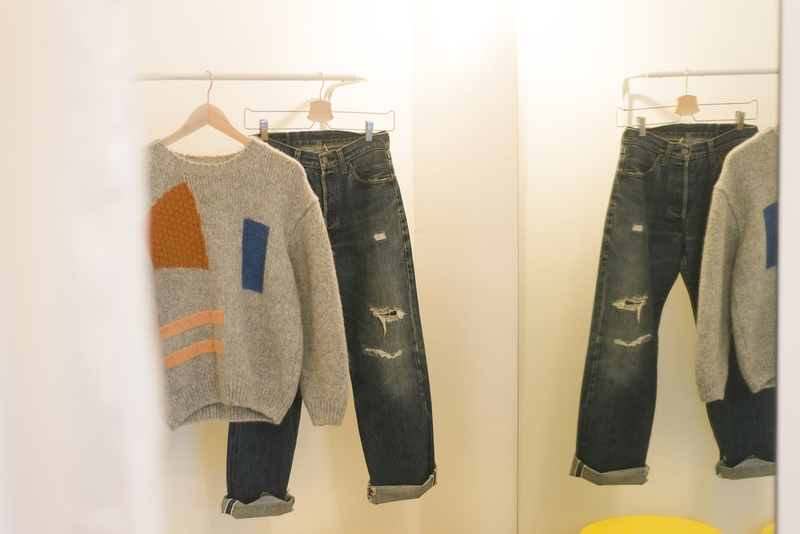 Enjoy the photos of the store and a solid interview with the owner/everything Andi. 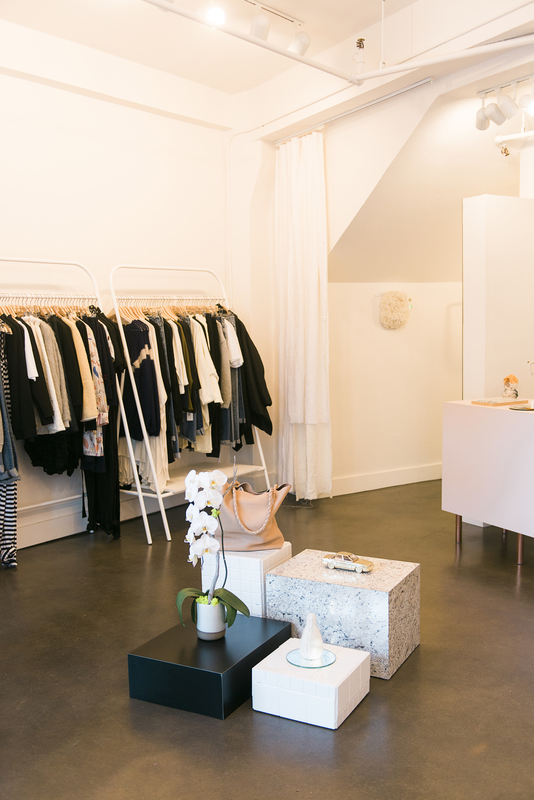 West End Select Shop, the brick + mortar as well as the online shop, opened in October 2014. We're located in the historic North Pacific Building in downtown Portland at 927 SW Oak Street, nestled in between Sizzle Pie + Courier Coffee. 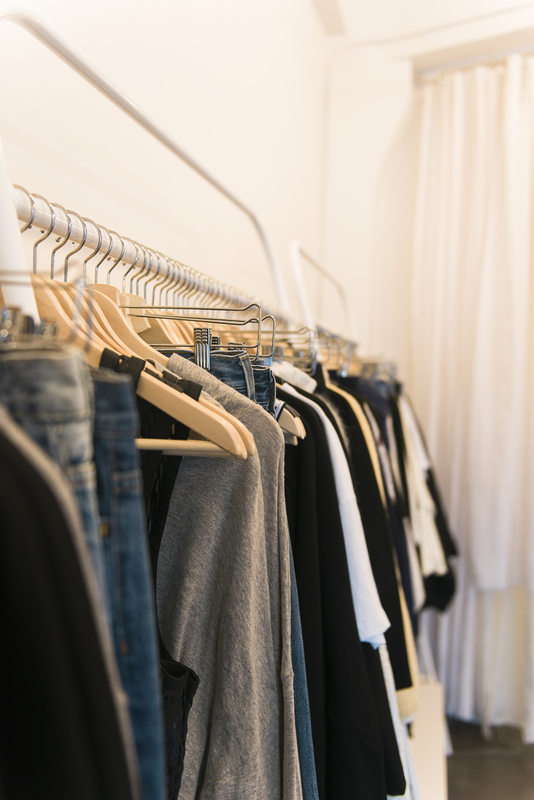 We carry women's apparel, accessories and soon beauty products that we've sourced globally. We specialize in emerging designers with a modern aesthetic. Owning a store was always my dream job. 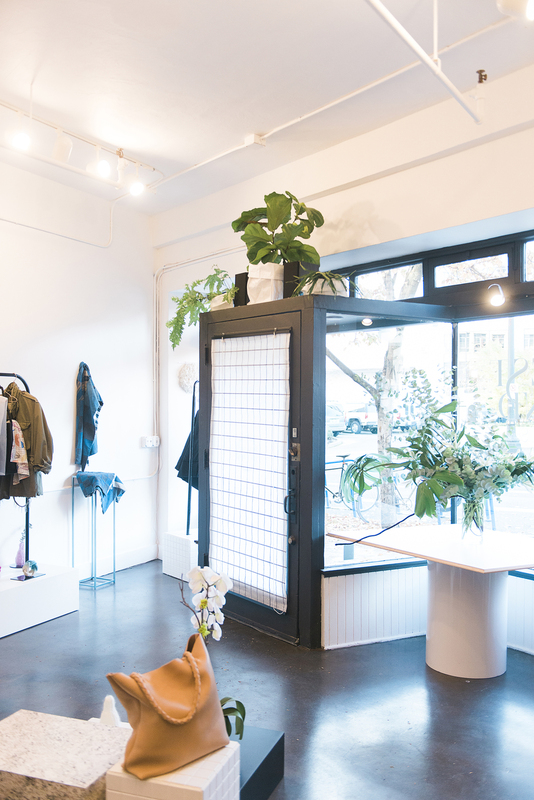 I spent 7 years talking about opening a store and when my husband and I moved back to Portland last year the timing was just right. I felt that I had seen and experienced enough to bring a compelling retail story back to my hometown of Portland. I worked at Nike for many years in Product Creation, I've freelanced as a Trend Scout/Blogger/Stylist, everything I've done was just practice for this. 4. 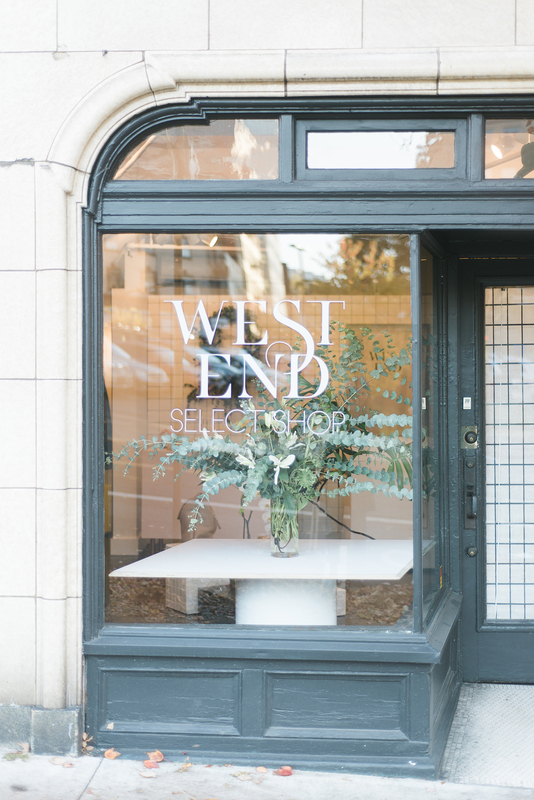 How did you come up with the name West End Select Shop? When I was looking for a space to lease on real estate websites I saw the term "West End" used in reference to the upper downtown neighborhood and I loved how elegant it sounded. I thought it was a great title, and outside of the real estate world it wasn't a term I heard anyone using. The "Select Shop" part is a Japanese term they use to describe a multi-brand store. I like that "West End Select Shop" could become anything, it's a name I can evolve with. Most of the brands I carry are brands I liked and bought for myself before. I discovered Nanushka (Budapest) in Tokyo after I bought a sweater from the brand and wore it to death. I also discovered Cav Empt in Tokyo, I would buy a lot of their pieces for myself and developed a relationship with the designers. It's super random that I carry them but I love that! People who are familiar with the brand come in and are always shocked that I have it. KowTow (New Zealand) I found on online and when I dug a little bit deeper I was moved by how involved they were in sustainable practices. They care very much where their fabrics come from, they even travel to India and speak to the people harvesting cotton and interview them to make sure they're being paid a fair wage. That's a lot of effort to go through and I appreciate that. I just find things all over the place, I'm never not shopping. My sister Nina brought her tiny adorable Pomeranian in the store (@littlefoxleo) and we all just immediately got on the ground to let him run all over us. We were doing this one Sunday afternoon and attracted a crowd of people who, of course, joined us in sitting on the floor and letting a dog attack us with kisses. It was like a puppy-love sit in with 10 people in my small store. It was a great moment! • Portland - Una, Frances May, Alder & Co., Milk Milk Lemonade, Fieldwork Floral, Perfume House, House of Vintage, Powell's, Table of Contents.